I had already signed up to the Hackett offer, but I have only got 15 Avios per pound until 11 April. I saved this to my card last week, no mention of 25 points per pound! 25 Avois Points per £1 for me. But I’m Scottish, so I’ll pass on wearing the “Hackett” logo. Campaign a little harder for independence next time, or give the English the vote. Ironically, in large part it was probably the English who prevented independence in 2014. The number of eligible English voters exceeding the difference between yes and no vote counts. Subsequent surveys and analysis suggest the vast majority of English voters voted no. Just postponed the inevitable. I voted no last time, will vote yes next time . I think better just to cut the uncertain era short and get it done. Discussed last might, those benefits are impossible in the UK market. If they were you would already have them from other card providers. Apart from 2% cheaper the US card offers nothing that is not already widely available in UK. 4000 tesco points posted from mobile offer, will do the other two new sims today to 2 different Clubcard accounts. It seems to be taking about 9 days for points to post. Is the Tesco mobile jobby easy to do? I dismissed it at first as it looked faffy. It’s more that tesco mobile website is a complete pain in backside. Took me about 30mins to set up both. So time it took to have a cuppa netted 4000 points plus another 4000 to come. Oh and I’m on grandfather rate off 800 points for tesco so even better for me. I will do that for next sim! Yes, exactly 9 days for me too with two sims activated on different days. Wonder if my two cats and dog fancy mobile 🤔 I’m not even going to waste the sims have put them in spare phone for grandson to use the data up when we go to New York next week. I’ve never churned but I really miss Tesco direct not just for points but because it was my go to place for all sorts! Our mobile account is in hubby’s name with our 3 phones on his account. We have multiple Clubcard numbers. I was reading the comments on the original post and someone said you can only use in the UK so might not work for u in the USA next month. Don’t forget to cancel them end of first month, and good luck trying to add two more to your mobile account, I’ve given up! Thanks for heads up Liz if they don’t work it doesn’t really matter grandson can go without! Minor point, but as far as I can make out the calls / texts / data from the Rocket Packs cannot be used for roaming outside of the UK. @Mikeact, why do we need to cancel them? They are pay go so presumably if we have no balance the rocket pack will not renew anyway? Please excuse my ignorance, I’ve never had pay go and was just planning to throw the sims away without cancelling the rocket pack.. Rocket Pack is a package of data, call minutes and texts which last for a month. There is no contract but your Rocket Pack will auto-renew unless you cancel it. How does it auto-renew if your account has no credit and Tesco have no card details to charge? @Mikeact, thanks for this. Cancellation is easy enough so I will do so to be on the safe side. However, I think term 9(ii) posted by @Harry is key, if we have no balance we are not charged. Boils down to whether we want to use the sim longer term or if we just bought it to get the points and don’t plan on using it. It’s easy to cancel you just press cancel button on your account. I’ve waited till points post then gone on changed details to new sim will wait till points post and cancel that one. I am already a Tesco mobile pay monthly customer so I dismissed this offer. Would this work for me? New customers only but don’t you have someone else you could sign up ? Of course,and it’s not for new customers only. Just go into your Tesco and purchase 2xRocket packs @ £20 each. if In husbands name you can use yours ? Well if it’s not new customers great I only went by small print. Available to new customers only with purchase & top-up of their Rocket Pack SIM or handset. For purchases between 25 February – 28 April 2019. Requires the linking of your Clubcard and Tesco Mobile phone number which can be done online at tescomobile.com, points issued within 28 days of satisfying eligibility requirements. Points capped at 2000 depending on value of Rocket Pack purchased. Each Clubcard number is eligible to qualify only twice. Has anyone done this twice per clubcard NUMBER yet ? My 2 x 2000 points posted today through 2 SIMs, each was linked to a different clubcard NUMBER which then feed through to the same clubcard ACCOUNT. I am considering doing it again using the same 2 clubcard numbers but wondered if anyone else has had success yet ? T&Cs say 2 per clubcard number but since all the info on website & posters seems a bit flaky, could they mean 2 per account ? Definitely agree that the webpage / online account is a PITA, I will use the approach from @BJ at 07:05 comment above. Alternatively how easy is it to get 2 new clubcard numbers and link them to the primary account and is there a delay ? Numerous reports of 2 x 2000 points on the same clubcard number, but not sure if anyone has succesfully reported the same on multiple numbers attached to the one account. Can you transfer from multiple clubcard accounts into one BAEC account, or would you need to go multiple clubcard -> multiple BAEC in HHA? 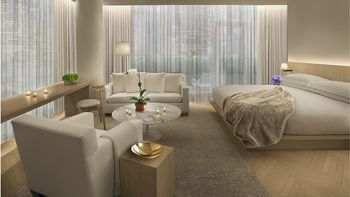 Anyone stayed at the EDITION in Abu Dhabi? Just wondering if it’s worth the extra points over most other hotels in the area. Thanks. Hi all, is anyone else flying from Heathrow terminal 3 on the evening of 5th April? Not another lounge pass request is it? Actually, it’s usually us offering to guest someone in! I often offer for T5 when popping over to Dub. Ha! Shame on you. Actually a very kind offer from Cat. Cat if you have a little more info you might get a lot of info back. Sorry not in T5, I land back at T2 in the afternoon. I’m flying in F with Cathay, and apparently am allowed to guest one person in. You would need to be flying OW and travelling solo, or OK with ditching your travelling companion for an hour or two! I was planning a lounge hopping mission. You’re welcome to join me, but I’m equally happy to eat/drink on my own if you prefer a solitary lounge experience. Also, less likely, but if anyone happens to be in Hong Kong on 6th April early evening or on the afternoon / evening of 21st April, there will be more lounge hopping action available. Sorry to miss you both Harry and Debs, enjoy your place in the sun / holiday! What a kind offer ! Great idea. Hope you find a lounge buddy for your hopping around. I’m keeping a promise I made last year to my 8 year old grandson …. taking him to Wrestlemania in New York. The things you do for love. What a kind offer! Actually I will be flying from T3 then and was thinking of doing some lounge hopping too. Perhaps Rob can put us in touch? Will sort when I get back. As product/service goes it is quite disruptive. Uber/Groupon and alike were also US-only at start. I didn’t mean the card will not come to the UK, I meant you will not get 2% cb if/when it does. Not really – there are some superb cards in the US market offering higher returns and lots of other benefits. It’s decent but not class-leading. The installed userbase who’ll jump on anything Appley will ensure a decent sign-up rate though I’d imagine. @Rob For Le Club Accor does the card have to be a Credit Card to work? I only have Visa debit cards. Any pointers to where I can get a Visa Credit Card, handy to keep my points rolling over if it works. No idea but I doubt it matters as debit and credit payments would still clear via the same Visa payment network where the transaction would be spotted. Barclaycard Platinum Travel is a visa, and also offers fee-free foreign ATM withdrawals until 2022 (I think). Not sure you can get it if you have the Hilton Barclaycard though. Can’t find this Tesco Sim offer with 4000 points, could someone provide a link? This site has a lot of information on it believe it or not? It’s for 2000 points,potentially x 2. Here’s the original link I posted giving Rob the heads up. I only get 15 points per £ at Hackett. 25 on mine. Took a screenshot just in case. I got 25 points per £ offered. Noted the map of shops and it shows The Icon Outlet at the 02 Millennium Dome site, even though the T&Cs exclude it. Does this mean its a mistake or can you get the points here too? It just happens to be my closest store! I must be so out of step on fashion. I mean that Hackett offer seems to give a 20% discount on items that are at least 50% overpriced in the first place. Sorry but no thanks. I used to see the guy that started Hackett regularly. Believe IT or not he started on a stall under the canopy at Portobello Road market. I believe it, have you seen their polo shirts? I agree with much of what you say, and I got offered 25 avios / £1 too. But I feel you are being on the generous side saying that the stuff is only 50% overpriced. Selling basic casual trousers for £100 – they must be having a larf, surely. Agree – I find it staggering what can be charged for simple clothing when I see what amazing value some high tech items are in comparison! Orlebar Brown shorts are my favourite for this – charging north of £220 for something that you could still get a reasonable pair of for £25. If you earned £100,000 you’d probably buy them. They are very good. There are 1.2m people in the UK earning £100k+, apparently. That’s enough to keep OB in business. End of story. They don’t want or need you. I’d need to be earning a lot more than that to spend that on shorts! Happily spent £1300 on a laptop recently though which I’m sure some others wouldn’t want to do. I can confirm that, having earned over £100,000 for a number of years now, I won’t ever be spending £200 on shorts. Offer on Amex Gold for £30 off £175 spend if anyone decides to try them. I earn well above the figure you mention and wouldn’t buy a pair of shorts for £220, but then I live up north and don’t feel the peer pressure of London to wear a label. I sometimes think you are so embedded in the wealthy London scene you don’t see how it’s full of sheep trying to keep up with the Jones’s. You have a weakness somewhere. Everyone does. I have some nice clothes, live in a smart area and my kids are in a good school. However I have no car at all, no watches at all, pay peanuts for haircuts, own little art, not much in the way of fine wine, no cigar collection, no expensive hi-fi …. If you don’t have some weakness then, frankly, you’re not having much of a life if you’re on a six figure package! I’m on HfP – my weakness is nice holidays!! Agree with much of what you say and I’m similar, however, at times your comments can appear to be quite derogatory to lower incomes (sometimes anything under £100k!!) and in my experience that’s often a London thing where in the City it’s harder not to earn over £100k, no matter how good you are at your job! Anyway, great site – keep up the good content so you can carry on buying £200 shorts/ plastic swimming trunks. Presumably to save on input costs. Hum. We have family “up North” and there is a lot of peer pressure in certain enclaves, too, to “keep up with the Joneses”. Compared to us in London where we can choose to buy things that are symbols/transmit messages about our status/belonging, or not, I felt the peer pressure is higher up there (NE Yorks) in the sets some of our family members appear to run in. so I don’t think it has much to do with location but on how you choose to spend your money. Yeah i thought that. was hoping as it was triggered by a different transaction I may get lucky. Very annoying as the new booking wont even re-trigger it as the offer has ended. This is all due to AA cancelling flights due to the 737MAX groundings, so I have to ammend hotel bookings. If it does get taken off (and assuming you put other Amex Travel transactions on the card to replace them) it would certainly be worth speaking to Amex to see if they would still honour it as a goodwill gesture when it has clearly been a change outwith your control. Similar thing happened to me. Had triggered the £200 with a number of Amex “experiences”, one of which was a snorkelling trip in Oman. However when the trip was cancelled due to inclement weather on the day, the associated refund brought me back under the £600 spend and the £200 credit then automatically re-billed to my card. I contacted Amex CS to explain the situation was out of my hands, and they kindly re-credited to £200 back to my account. 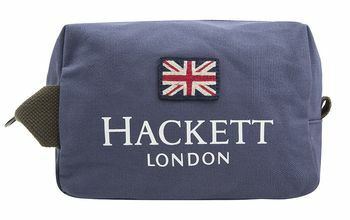 Interestingly enough, I had 15 per £1 @ Hackett for BAPP for the past few weeks – didn’t save it. Last week it changed to 25 per £1 so I saved that one (the original 15 per £1 was replaced with the 25 per £1) . Just my observation.